DATACTIVE, and Becky Kazansky (@pondswimmer) and Stefania Milan (@annliffey) in particular, is in Valencia on April 1-5 to take part in the 5th edition of the Internet Freedom Festival. In particular, Stefania will join a session entitled “The IFF in context: The transnational social movement for digital rights“, organised by Nathalie Marechal (Ranking Digital Rights) and Efrat Daskal (Northeaster University), injecting some history into the present digital rights struggles. 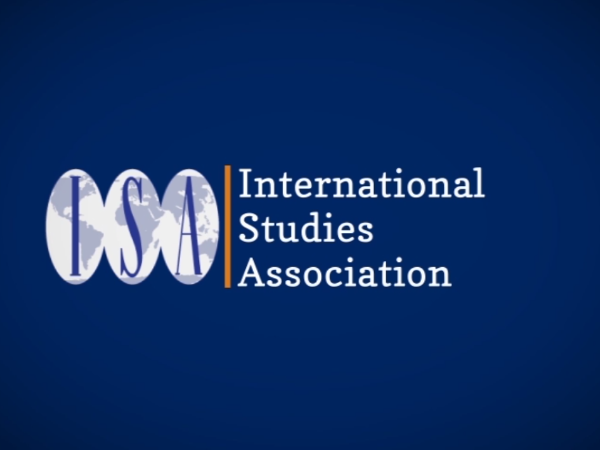 Stefania and Niels will attend the annual convention of the International Studies Association (ISA), in Toronto March 26-29. Stefania will present a paper, co-authored with Nina Hall (SAIS, Jonhs Hopkins) touching upon the IR-related side the DATACTIVE project, focusing on contemporary transformations of global digital advocacy in light of digitalisation and datafication. In March 26th, Stefania and Niels will also participate the workshop ‘Digital Democracy: Global Dimension’ at McMaster University in Hamilton, organised by Tony Porter and Netina Tan of the Digital Democracy Hub at McMaster. On March 27th, Stefania will lecture in digital methods and tool development (including within our new ALEX project) at Glendon College (York University), in the “Advanced Research Methods” taught by Evan Light. 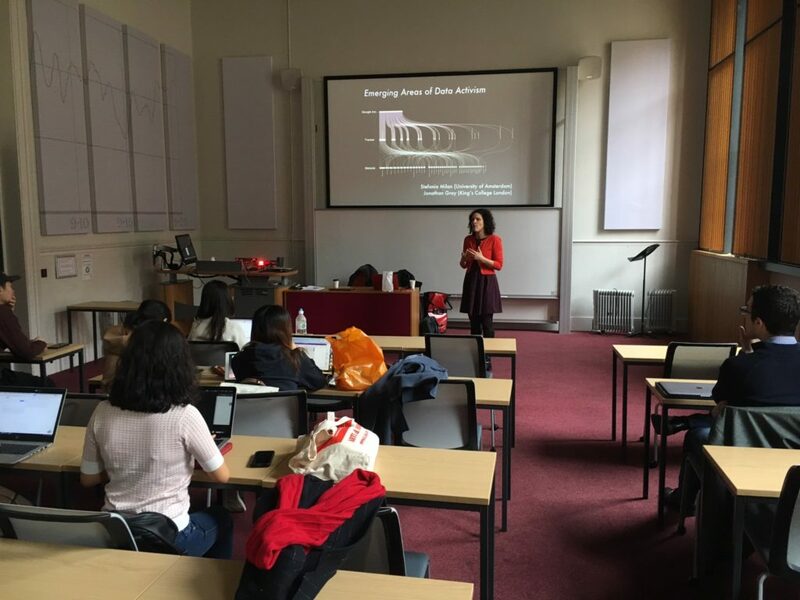 On March the 20th, Stefania visited King’s College, in London, to conclude the graduate course on data activism designed and taught by Jonathan Gray, Lecturer of Critical Infrastructure and formerly a postdoc with us at DATACTIVE <3. Check out the course here. Stefania was asked to talk about emerging forms of data activism. The January 2019 issue of First Monday includes an article by research associate Miren Gutierrez and PI Stefania Milan on the consequences of engagement with data. The article is entitled “Playing with data and its consequences” and is the lead article of the issue. Check it out! 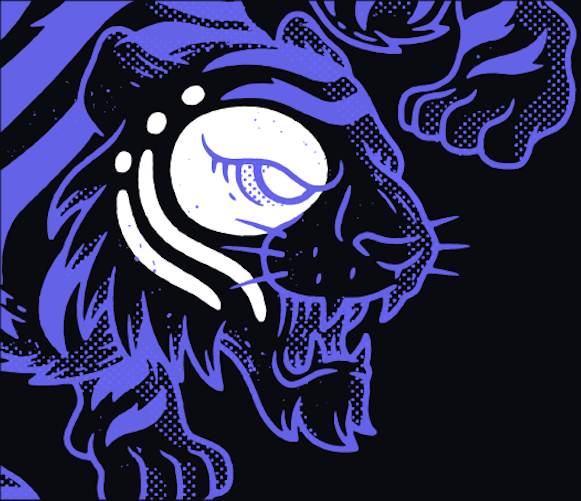 Abstract. The fundamental paradigm shift brought about by datafication alters how people participate as citizens on a daily basis. “Big data” has come to constitute a new terrain of engagement, which brings organized collective action, communicative practices and data infrastructure into a fruitful dialogue. While scholarship is progressively acknowledging the emergence of bottom-up data practices, to date no research has explored the influence of these practices on the activists themselves. Leveraging the disciplines of critical data and social movement studies, this paper explores “proactive data activism”, using, producing and/or appropriating data for social change, and examines its biographical, political, tactical and epistemological consequences. Approaching engagement with data as practice, this study focuses on the social contexts in which data are produced, consumed and circulated, and analyzes how tactics, skills and emotions of individuals evolve in interplay with data. Through content and co-occurrence analysis of semi-structured practitioner interviews (N=20), the article shows how the employment of data and data infrastructure in activism fundamentally transforms the way activists go about changing the world. 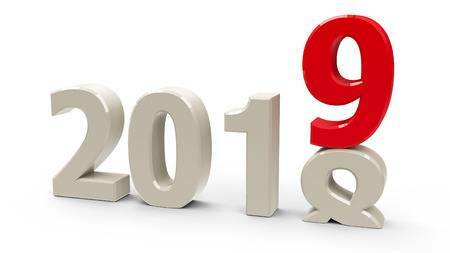 2018 has been a good year for DATACTIVE. We take the opportunity of the turn of the year to review what we accomplished and what remains to do. We advanced with data collection, and are almost done. Just to mention one, we are close to 200 interviews, and the material is extremely rich. We organized two exciting events, the July workshop and the Big Data from the South, and a hackaton. Collectively we delivered over 40 talks. 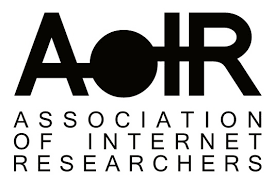 We published a dozen between papers and book chapters, including an article for Policy & Internet, two for the International Journal of Communication (here and here), three contributions in a special issue of XRDS on anonymity. We released a special issue on data activism of the peer-reviewed journal Krisis: Journal for Contemporary Philosophy. Many more contributions are in print. In January alone, an article on the consequences of engaging with data will appear on First Monday; a collective book chapter will be released in the context of the collection on Good Data; the special issue of the journal Policy & Internet on internet architecture & human rights will see the light of day. The DATACTIVE blog, the critical communities debate and the Big data from the South blog are thriving; our work was mentioned in several media outlets in a variety of idioms. In July we were awarded a Proof of Concept grant of the ERC to work on the Algorithms Exposed project (ALEX). Stay tuned for further developments, including a brand-new website which will soon become available at the URL algorithms.exposed. And most importantly, we continued learning from each other and from the many activists we encountered during fieldwork, and we continued experimenting with a different way of doing and being academia (among others, see here and here). With less than two years to the end of the grant, we will now dedicate ourselves primarily to data analysis and writing. ALEX will keep some of us busy, and will allow us to expand our team hiring a couple of developers and collaborating with NGOs. To start with, next week we will seize the opportunity of the forthcoming of the Digital Methods Winter School to advance with software development. We can anticipate we will use the forthcoming EU Parliament election as one of our test cases, so if you are interested in collaborating to a research on the effects of algorithmic personalisation please get in touch. How would datafication look like seen… ‘upside down’? What questions would we ask? What concepts, theories and methods would we embrace or have to devise? These questions are at the core of the two-day research seminar ‘Big Data from the South: Towards a Research Agenda’, scheduled to take place at the University of Amsterdam on December 4-5, 2018. 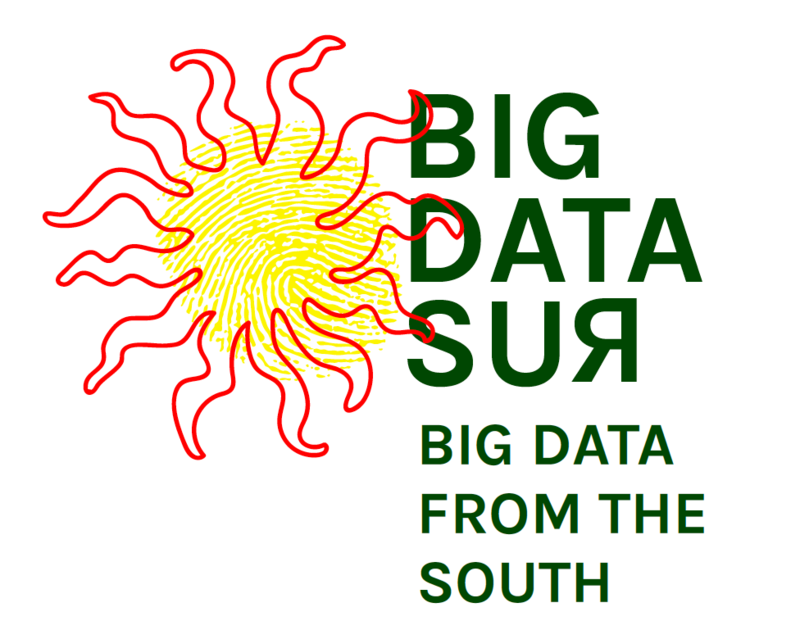 The event is the third gathering of the Big Data from the South Initiative, launched in 2017 by Stefania Milan and Emiliano Treré (Cardiff University). It interrogates ‘Big Data from the South’, moving beyond the Western centrism and ‘digital universalism’ (Say Chan, 2013) of much of the critical scholarship on datafication and digitalization. It allows the Initiative to advance with charting its field of inquiry, including in the conversation practitioners from various corners of the globe and scholars from media studies, development studies, law, globalization studies, philosophy, science and technology studies, critical data studies (and counting). The event is made possible by the generous funding of the Amsterdam Center for Globalization Studies, the Amsterdam Center for European Studies, the Amsterdam School of Cultural Analysis, and the European Research Council. With the participation of SPUI25 and Terre Lente. The workshop builds on the work of DATACTIVE and the Data Justice Lab in thinking the relation between data, citizenship and participation, but goes beyond engaging with a much needed debate at the intersection of feminist theory, critical theory, and decolonial thinking, which, ‘thinking in radical exteriority’ (Vallega, 2015, p. x), interrogates the coloniality of power. It intends to contribute also to the ongoing epistemological repositioning of the humanities and the social sciences in light of the raising inequality. We depart from the observation that, ‘while the majority of the world’s population resides outside the West, we continue to frame key debates on democracy and surveillance—and the associated demands for alternative models and practices—by means of Western concerns, contexts, user behavior patterns, and theories’ (Milan and Treré, 2017) . If on the one hand, ‘we need concerted and sustained scholarship on the role and impact of big data on the Global South’ (Arora, 2015, p. 1693), on the other ‘new’ theory and ‘new’ understandings are key, as ‘if the injustices of the past continue into the present and are in need of repair (and reparation), that reparative work must also be extended to the disciplinary structure that obscure as much as illuminate the path ahead’ (Bhambra & De Sousa Santos, 2017, p. 9). Thus, this event will be a stepping stone towards rethinking the sociotechnical dynamics of datafication in light of ‘the historical processes of dispossession, enslavement, appropriation and extraction […] central to the emergence of the modern world’ (Ibid.). But what South are we referring to? First, our definition of ‘South’ is a flexible and expansive one, inspired to the writings of globalization sociologist Boaventura De Sousa Santos (2014) who is at the forefront of the reflection on the emergence and the urgency of epistemologies from the South against the ‘epistemicide’ of neoliberalism. Including but also going beyond the geographical South and emphasising the plurality of the South(s), our South is a place for and a metaphor of resistance, subversion, and creativity . Secondly, our notion emerges in dialectic interaction with the continuous critical interrogating and situating of our privilege as Western academics vs. the imperative to do ‘nothing about them without them’ (see Milan and Treré, 2017). This talk (which draws on the author’s forthcoming book from Stanford University Press, The Costs of Connection: How Data is Colonizing Human Life and Appropriating it for Capitalism) examines how contemporary practices of data extraction and processing replicate colonial modes of exploitation. Couldry and Mejias present the concept of “data colonialism” as a tool to analyze emerging forms of political control and economic dispossession. To that effect, their analysis engages the disciplines of critical political economy, sociology of media, and postcolonial science and technology studies to trace continuities from colonialism’s historic appropriation of territories and material resources to the datafication of everyday life today. While the modes, intensities, scales and contexts of dispossession have changed, the underlying function remains the same: to acquire resources from which economic value can be extracted. Just as historic colonialism paved the way for industrial capitalism, this phase of colonialism prepares the way for a new economic order. In this context, the authors analyze the ideologies and rationalities through which “data relations” (social relations conducted and organized via data processes) contribute to the capitalization of human life. Their findings hold important implications for how we study the internet, and how we may advocate for the decolonization of data in the future. 20-21.30 @SPUI25, Spui 25 Public event: Big Data from the South: Decolonization, Resistance and Creativity, Payal Arora (Erasmus University Rotterdam), Nick Couldry (London School of Economics), Merlyna Lim (Carleton University) and Ulises A. Mejias (State University of New York, College at Oswego). Datafication has dramatically altered the way we understand the world around us. Understanding the so-called ‘big data’ means to explore the profound consequences of the computational turn, as well as the limitations, errors and biases that affect the gathering, interpretation and access to information on such a large scale. However, much of this critical scholarship has emerged along a Western axis ideally connecting Silicon Valley, Cambridge, MA and Northern Europe. What does it mean to think datafication from a Southern perspective? This roundtable interrogates the mythology and universalism of datafication and big data, moving beyond the Western centrism and ‘digital universalism’ (Say Chan, 2013) of the critical scholarship on datafication and digitalization. It asks how would datafication look like seen… ‘upside down’? What problems should we address? What questions would we ask? We will explore these questions in conversation with four engaged academics: Payal Arora (Erasmus University Rotterdam), Nick Couldry (London School of Economics), Merlyna Lim (Carleton University), and Ulises A. Mejias (State University of New York, Oswego). Check out the blog and subscribe to the mailing list! DATACTIVE PI Stefania Milan has taken part in the annual conference of the Association of Internet Researchers, in Montreal (Canada), October 10-13. This year’s conference theme was “Transnational materialities”. Among others, she presented a work in progress, co-authored with Miren Gutierrez (Universidad de Deusto), on the social consequences of engagement with data and data infrastructure. On October 14th, she has taken part in the academic Festschrift to celebrate the career of Prof. Marc Raboy. The event, entitled Networking Global Communication in and Beyond the Age of Social Media, took place at McGill University. DATACTIVE is happy to announce the publication of the article “Through a Glass, Darkly”: Everyday Acts of Authoritarianism in the Liberal West, co-Arne Hintz (Data Justice Lab, Cardiff University) and Stefania Milan, in the International Journal of Communication. The essay is part of a Special Section on “Authoritarian Practices in the Digital Age”, edited by Marlies Glasius and Marcus Michaelsen, University of Amsterdam. The Special Section brings together nine papers that extend our understanding of the relationship between contemporary forms of authoritarianism and digital communication technologies. The contributions investigate Internet control and censorship, surveillance, and disinformation, presenting insights from China, Russia and Central Asia, Iran, Pakistan, Sub-Saharan Africa, and Western Europe. The articles are available in open-access. The abstract of Through a Glass, Darkly is below. Institutional practices undermining citizen agency and infringing on individual freedoms are typically associated with authoritarian countries. However, they are also proliferating in Western democracies. This article redefines data-based surveillance as a “Western” authoritarian and illiberal practice in the digital realm, resulting from state–industry collaboration and alienated from accountability mechanisms. Straddling critical data studies and surveillance studies, the article explores these dynamics of surveillance in the West by focusing on two dimensions: the institutionalization of governmental practices in law and the societal normalization of surveillance in popular cultural practices. It thus investigates the renegotiation of the boundaries of state power along two axes—top down and bottom up. It connects the notions of “authoritarian and illiberal practices” and “surveillance cultures,” asking how the former are produced, negotiated, and legitimized and reviewing their consequences for citizens and civil society. Based on empirical data from two projects exploring the interplay between citizenship and surveillance, the article argues that acts of authoritarianism in the West are institutionalized at the intersection of top-down governmental practices and bottom-up popular reactions. 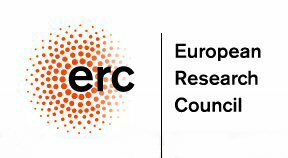 DATACTIVE is proud to announce that its spin-off ALEX project has been awarded a Proof of Concept grant of the European Research Council. ALEX, which stands in for “ALgorithms Exposed (ALEX). Investigating Automated Personalization and Filtering for Research and Activism”, aims at unmasking the functioning of personalization algorithms on social media platforms, initially taking Facebook as a test case. ALEX marks the engagement of DATACTIVE with “data activism in practice”—that is to say, turning data into a point of intervention in society. To mark the occasion, we publish an interview with Claudio Agosti, DATACTIVE Research Associate and Lead Developer of facebook.tracking.exposed browser extension (fbtrex), whose open-source code is at the core of the ALEX project. Claudio was interviewed by DATACTIVE Principal Investigator Stefania Milan at the Internet Freedom Festival in Valencia, Spain, in relation to a project on content regulation on/by platforms. Claudio (also known as vecna) is a self-taught technician in digital security. With the internet gradually becoming a central agent in the political debate, he moved from the corporate security services to the defence of human rights in the digital sphere. Currently, he is exploring the influence of algorithms on society. Claudio is the coordinator of the free software projects behind https://tracking.exposed and a Founding Member and Vice-President of the Hermes Center for Transparency and Digital Human Rights. Stefania: Is the spread of fake news predominantly a technical or social problem? Claudio: It is a social problem in the sense that the lack of critical judgment in individuals creates the conditions for fake news or misinformation to spread. However, through technology, the dissemination of misinformation is much faster and can scale up. The problem we are facing now is that when the costs of spreading content drop, the possibilities for an individual to deliver a successful information operation (or infops, I feel this term is more accurate than propaganda) is higher. However, it isn’t true that people lack critical judgment in absolute terms. At a personal level, one can only be an knowledgeable on a limited range of subjects, but the information we receive is very diverse and, most of the time, outside of our domain of expertise. As social media users and information consumers, we should have a way to validate that information. I wonder what if we would know how to validate on our own? This does not exist in mainstream news media either. It is possible, for example, on Wikipedia, but anywhere else, the way that information is spread implies that information is true on its own. A news report, a blog post or a status update on social media do not contain any information that helps validation. All in all, I think fake news is simultaneously a technical and a political problem, because those who create and spread information have responsibility towards user expectations, and this shape also the users’ vulnerability to infops. Stefania: As a developer, what is your main goal with the facebook.tracking.exposed browser extension? Claudio: At the moment we haven’t had the tools to assess responsibility with respect to infops. If we say that fake news is a social problem because people are gullible, we put responsibility on users/readers. But it’s also a problem of those publishing the information, who allow themselves to publish incorrect information because they will be hardly held accountable. According to some observers, social media platforms such as Facebook are to be blamed for the spread of misinformation. We have three actors: the user/the reader, the publisher, and the platform. With facebook.tracking.exposed, I’m trying to collect actual data that allows us to reflect on where the responsibilities are. For example, sometimes Facebook is thought to be responsible but in fact it is the responsibility of the content publisher. And sometimes the publishers are to be blamed, but are not legally responsible. We want to collect actual data that can help investigate these assumptions. We do so from an external, neutral position. Stefania: Based on your studies of the spread of information on social media during the recent elections in Argentina and Italy, can you tell us what the role of platforms is, and of Facebook in particular? Claudio: In the analyses we did in Argentina and Italy, we realized that there are two accountable actors: the publisher and the platform. Some of the publishers are actually spamming users’ timelines as they are producing too many posts per day. I find it hard to believe that they are producing quality content in that way. They just aim at occupying users’ timelines to exploit some of their seconds of attention. In my opinion, this is to be considered spam. What we also found is that Facebook’s algorithms are completely arbitrary in deciding what a user is or is not going to see. It’s frightening when we consider that a person that displays some kind of deviant behavior such as reading and sharing only fascist or racist content will keep being exposed to even less diverse content. From our investigations of social media content during two heated election campaigns, we have the evidence that if a person expresses populist or fascist behavior, the platform is designed to show her less diverse information in comparison to other users, and that can only reinforce her position. We can also argue that the information experience of that person is of lower quality, assuming that maximum information exposure is always to be preferred. Stefania: So what can users do to fix this problem? Claudio: I think users should be empowered to run their own algorithms and they should have better tools at their disposal to select the sources of their information diets. This has to become also a task of information publishers. Although everybody on social media is both a publisher and a consumer, people who do publishing as their daily jobs are ever more responsible. For example, they should create much more metadata to go along with information so to permit the system to better filter and categorize content. Users, on the other hand, should have these tools in hand. When we don’t have that set of metadata and thus the possibility to define our own algorithm, we have to rely on Facebook’s algorithms. But Facebook’s algorithms are implicitly promoting Facebook’s agenda and its capitalist imperative of maximizing users’ attention and engagement. For users to have the possibility of defining their own algorithms, we should first of all create the need and the interest to do so by showing how much of the algorithm is the platform’s agenda and how it can really influence our perception of reality. That is what I’m doing now: collecting evidence about this problems and trying to explain it to a broader audience, raising awareness amongst social media users. Stefania: Do you think we should involve the government in the process? From your perspective of software developer, do you think we need more regulation? Claudio: Regulation is really key because it’s important to keep corporations in check. But I’m afraid that, among others, there is a misunderstanding in making regulations which seem to have direct benefits on people’s life, but for example might end up limiting some of the key features of open source software and its distribution. Therefore I’m quite skeptical. I have to say that high level regulations like the General Data Protection Regulation do not try to regulate the technology but rather its effects and in particular data usage. They are quite abstract and distant from the technology itself. If the regulators want to tell the company what to do and what not to do, I’m afraid that in the democratic competition of the technical field the probability of making mistakes is higher. On the other hand, if we just regulate users/consumers production explicitly, we would end up reinforcing the goals of the data corporations even more. So far, regulations have in fact been exploited by the biggest fish in the market. In this game we can distinguish three political entities: users, companies, and governments. In retrospect, we see that there have been cases where companies have helped citizens against governments and, in some other case, governments have helped citizen against companies. I hope we can aggregate users and civil society organizations around our project, because that’s the political entity that is in utmost need to be somehow guided or supported. Stefania: So the solution is ultimately in users? Claudio: The problem is complex thus the solution can’t be found in one of the three entities only. With ALEX we will have the opportunity to re-use our data with policies we determine, and therefore try to produce features which can, at least, offer a new social imaginary. First of all, we aim at promoting diversity. Fbtrex will provide users with tools for comparing their social media timelines to those of others users, based on mutual sharing agreements which puts the users—rather than the company—on the driver seat. The goal is to involve and compare a diverse group of users and their timelines across the globe. In so doing, we empower users to understand what is hidden from them on a given topic. Targeted communication and user defined grouping, as implemented on most social media, lead to fragmentation of knowledge. Filtered interactions confirming a user’s position have been complicit in this fragmentation. Our approach doesn’t intend to solve this technocratic subterfuges with other technological fixes, but to let the user explore the diversity. In fact, the fragmentation of information and individuals produced by social media has made it even more difficult for users to relate to problems far removed from their reality. How do you understand the problems of migrants, for example, if you have never been away from home yourself, and you don’t spend time in their company? To counter this effect, thanks to the funding of the European Research Council, we will work on an advanced functionality which will… turn the so-called filter bubbles against themselves, sort to speak. Secondly, we want to support delegation and fact-checking, enabling third-party researchers to play a role in the process. The data mined by fbtrex will be anonymized and provided to selected third-party researchers, either individuals or collectives. These will be enabled to contextualize the findings, combine it with other data and complement it with data obtained through other social science research methods such as focus groups. But, thanks to the innovative data reuse protocols we will devise, in any given moment users, as data producers, will have a say as to whether and how they want to volunteer their data. We will also work to create trusted relationships and networks with researchers and users. In conclusion, if users want to really be free, they have to be empowered to be able to exercise their freedom. This means: they have to own their own data, run their algorithms, and understand the political implications behind technological decision-making. To resort to a metaphor, this is exactly the difference between dictatorship and democracy: you can believe or accept that someone will do things for your own good like in a dictatorship, or you can decide to assume your share of responsibility, taking things in your hands and trying to do what is best for you while respecting others—which is exactly what democracy teaches us. ALEX is a joint effort by Claudio Agosti, Davide Beraldo, Jeroen de Vos and Stefania Milan. The new website https://algorithms.exposed will go live soon! We are happy to share with you the report of our two-day Data for the Social Good event the 16th and 17th of November. The report includes both the first public evening organised at Spui25 *, and our invitation-only second day of lectures in the morning and workshops in the afternoon. To all participants, thank you for joining us for this great event and thanks to Spui25 for hosting us! Please find the report included below, and do feel free to help share / disseminate our collective findings. Also, we would give our thanks to all the speakers, Charlotte Ryan (Associate Professor of Sociology at the University of Massachusetts), Lorenzo Pezzani (architect and researcher, and lecturer at the Goldsmith University of London), Jeff Deutch (Syrian Archive, PhD candidate at the Humboldt-University in Berlin), Niko Para (Syrian Archive, lead technologist), and moderator Fieke Jansen (independent researcher). 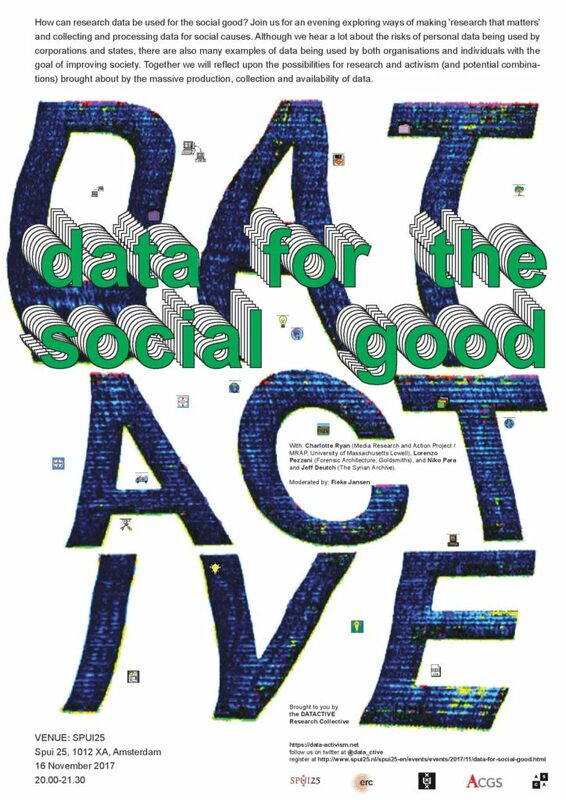 Data for the Social Good brings together scholars and practitioners to explore the politics of big data from the perspective of activism and civil society. Data for the Social Good is sponsored by the European Research Council (ERC), the Amsterdam Centre for Globalisation Studies (ACGS) and the Amsterdam School of Cultural Analysis (ASCA).